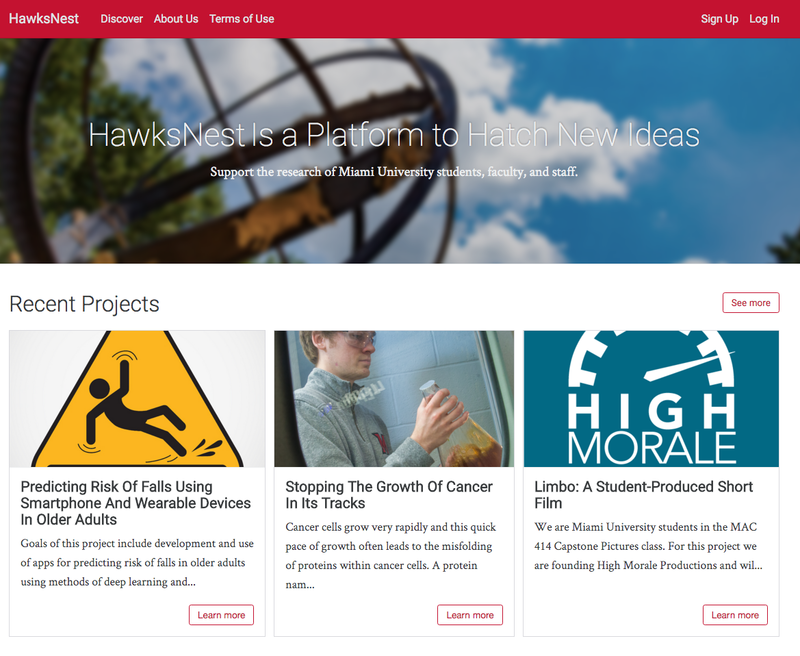 With Miami University’s new crowdfunding platform, HawksNest, anyone can help creativity, innovation, and inquiry take off. In just three steps you can directly support research, art, and innovative projects led by Miami University students, faculty, and staff. 1. Create an account or login with your Miami account. 3. Make a tax-deductible pledge. After that, you can login to HawksNest to view a record of your donations and get progress updates from managers of the projects you’ve supported. And don’t forget to check out what’s new while you’re there. Projects spend 45 days or less in HawksNest, so there’s always something fresh hatching! Learn more about HawksNest here. Money image by 401(K) 2012, via Flickr. Used under Creative Commons license.